It’s been National Poetry Month for a full week now, and I hope that you’ve found time to read or write (or both!) poems a-plenty. In case you’re looking for a new form of poetry to explore, may I suggest book spine poems? For the uninitiated, book spine poetry is a form of found poetry that first appeared in 1993, courtesy of Nina Katchadourian, and then became popular when Maria Popova began posting her own book spine poems to Brain Pickings in 2012. Today, I’m happy and proud to present a few book spine poems by my dear friend, Annette Simon, an author/illustrator/poet extraordinaire. She’s also lucky enough to work in a bookstore, with access to shelves and shelves of titles to inspire her. Below, she’s grouped a few poems together to create a commentary on parenting that many of us will undoubtedly find compelling. Mental health days are key. 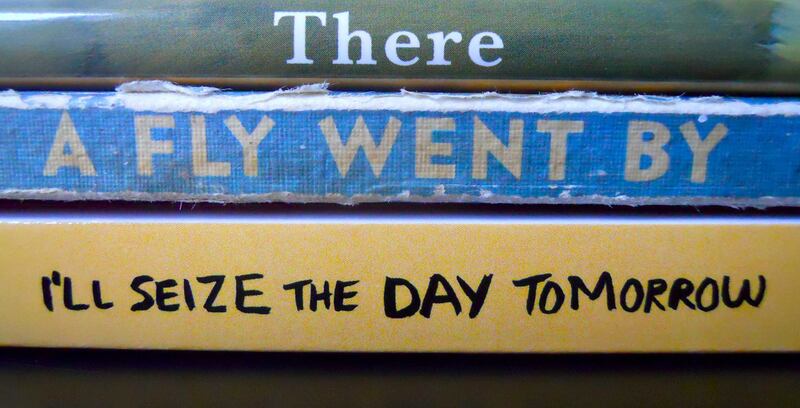 Why not try composing a few book spine poems of your own? They’re especially fun to make with kids, and the library is a wonderful place to explore this new form of expression. If you do create some you’d like to share, please post your pics on The Well-Versed Mom Facebook page. I’d love to see what you come up with! Annette is an advertising creative director turned picture book maker. 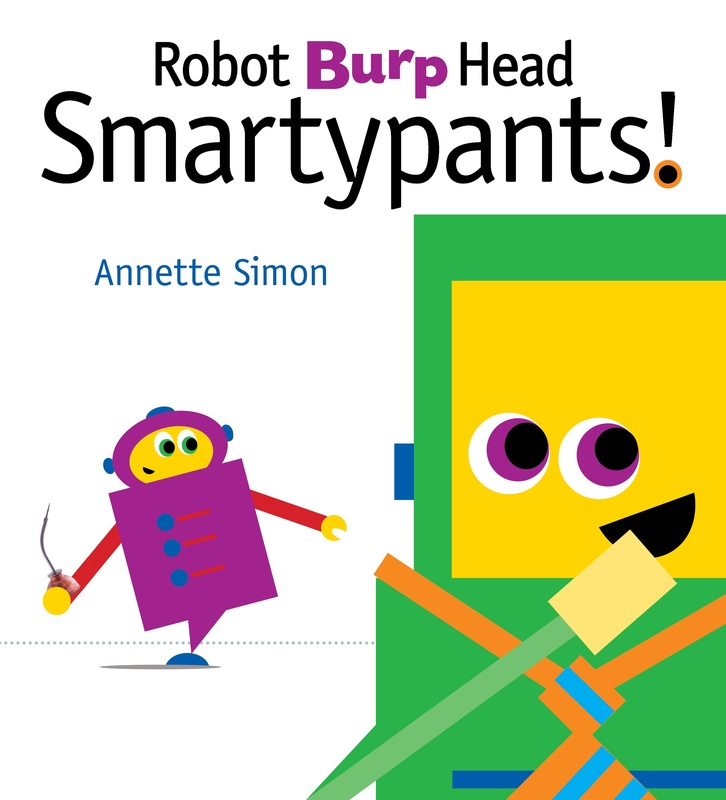 In her new ROBOT BURP HEAD SMARTYPANTS!, the mechanical pals of ROBOT ZOMBIE FRANKENSTEIN! return with a new game – and the thirst to win it. 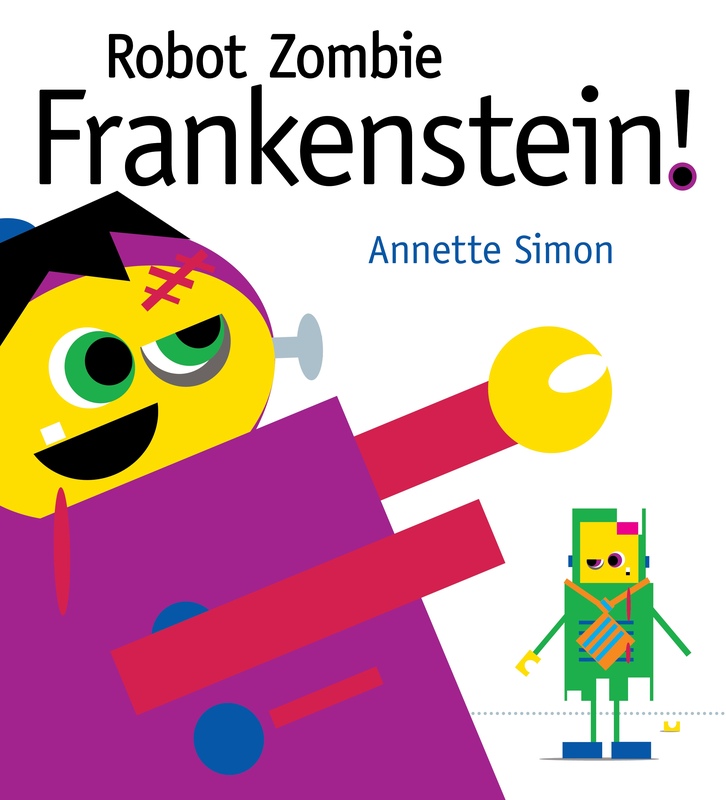 Please see more (and download free robot activity kits!) here. p.s. If you’d like a personalized copy, contact Annette’s local indie, The BookMark. When possible, please support your own local store. Consider a kind word here, here or here. Affirmative? This entry was posted in Just for Fun and tagged Annette Simon, book spine poems, book spine poetry, busy mom poems, found poems, found poetry, humor, kids, mom humor, NaPoMo, National Poetry Month, parenting, poem, poetry, spine poems, spine poetry, well-versed mom. Bookmark the permalink.